Our skilled installation teams are experienced in laying many different screeding products to a high standard. We can talk you through which option is best for your project and help you to compare the prices and benefits of each. 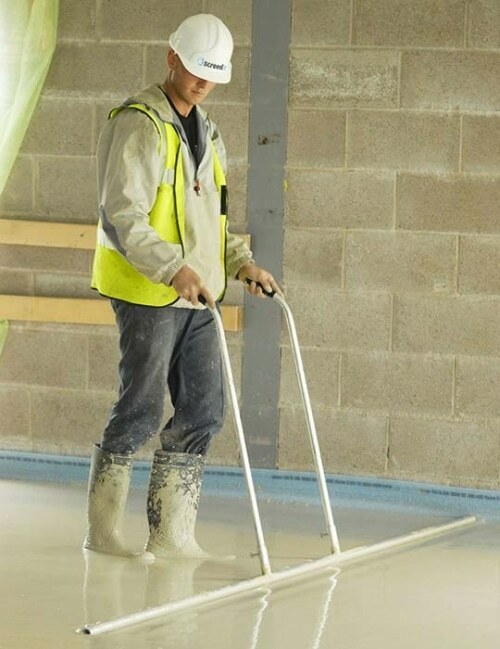 Liquid screed is one of our most popular screeding solutions because it is quick to install, fast to dry and durable once fully cured. As one of the Midlands’ most established liquid screed suppliers, we are proud to offer a variety of products within this range, including fast-drying screeds and mixes suitable for wooden substrates. Sand and cement is the more traditional screeding solution and remains a popular choice for many environments. When specified correctly it can bring a wealth of benefits, including fast drying times. Which screed is right for your project? We offer comprehensive site surveys and floor design services to assist you in getting the very best from your screeding installation. Plus, if you employ Screed It for the installation work, the cost of your pre-contract services will be deducted from your final invoice.